NOTE TO VISITORS: my camera is in the shop 😦 until who knows when. the following photos, were taken with my iPhone!! The quality is not great but it works in a pinch. 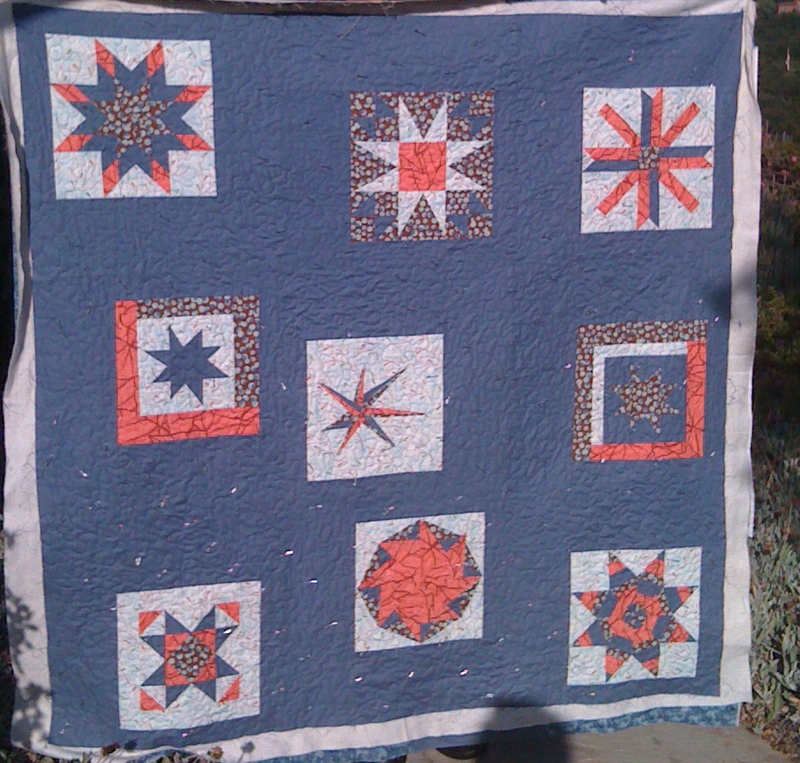 A few months back I volunteered to baste and quilt a charity quilt that our guild members created last year. Two of our members came up with a block challenge- come up with a 12.5 inch block with a star theme. We had so many blocks, we were able to turn them into two pretty good size lap quilts; thanks to our amazing Irelle!!! Now we are deciding where they will be most needed and loved. 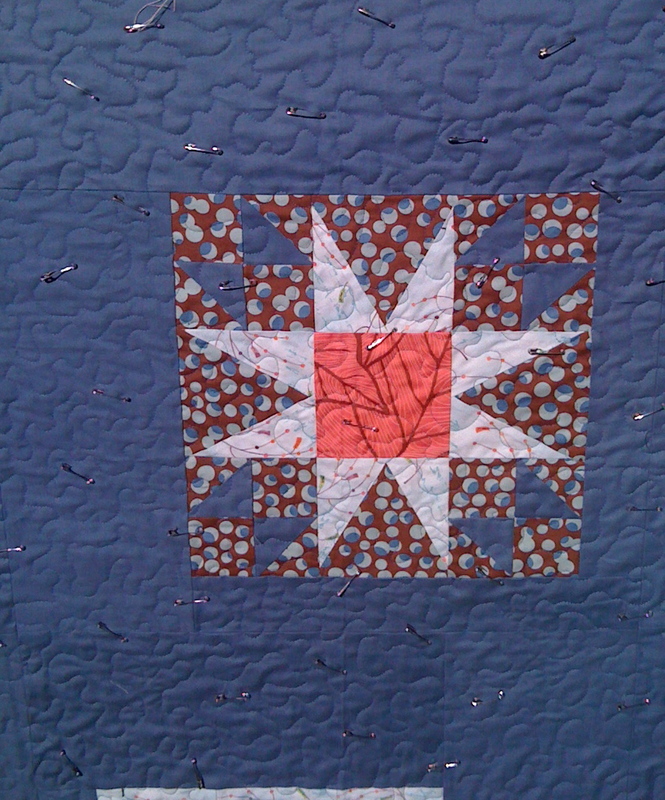 I was thrilled to be able to contribute to this project and get some free motion quilting practice. As I was basting and quilting this I kept marveling at all the precision and really top notch piecing that went into each block. Excuse the pins still in there, I was trying to get a shot before the light went away. Now to find a good home for this quilt. Thanks members, you are all so talented!! 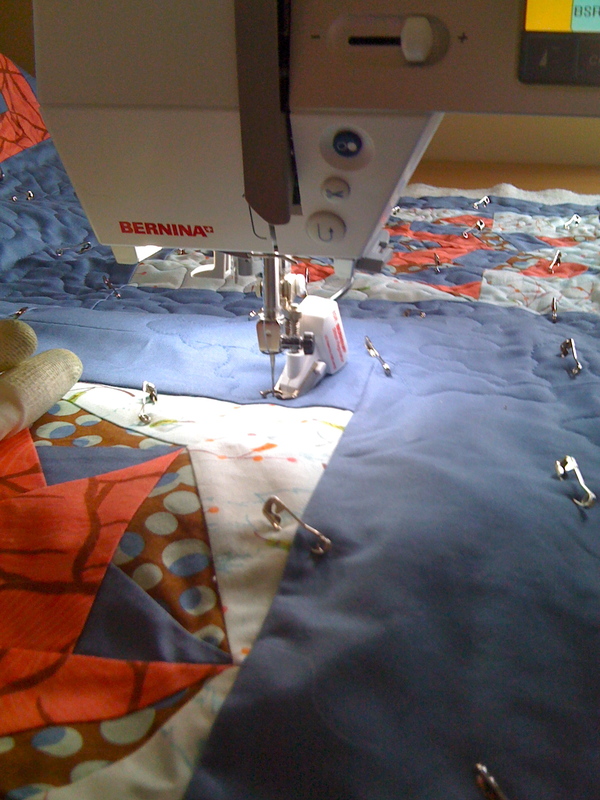 And of course, special thanks to Irelle, our prolific and energized quilt top sewer , and hopefully binder on this quilt. Great job! 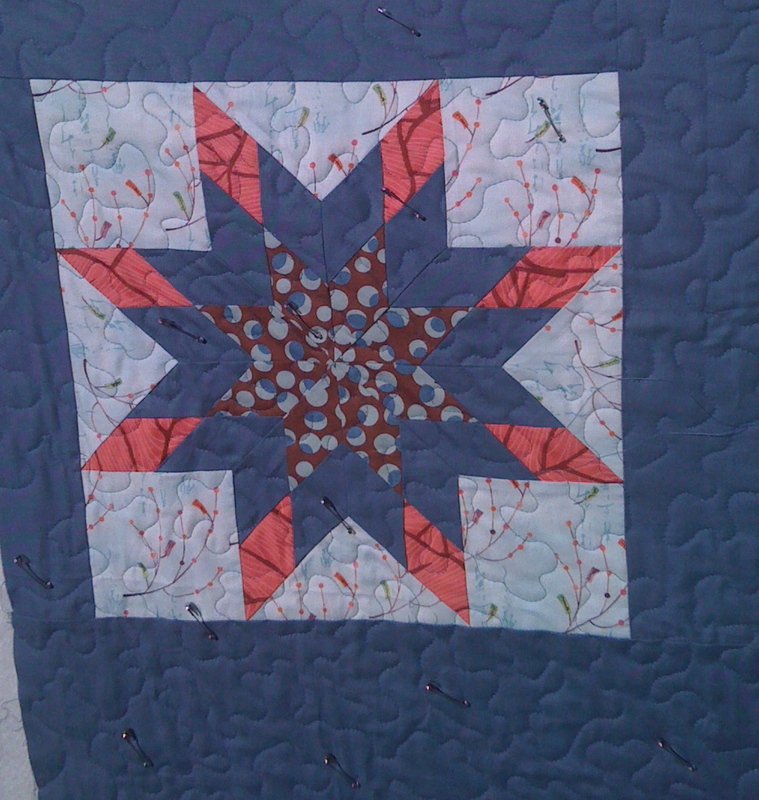 BTW- my block ended up in the other quilt top- in case you were wondering. Your designs are so creative. I look forward to your new postings!! oh I love that funky star in the middle the most!